If you’re using Twitter on a regular basis you may have noticed the new look, both on its website and on its mobile apps. Both iOS and Android apps have been given a new look, with the version for the iPad expected to follow suit. Twitter has placed three core functions at the forefront of its redesign: Home, Connect and Discover. Home, as the name suggests, will be where your usual tweets can be found. Connect includes your favourite tweets, re-tweets, and mentions, while Discover gives the user some suggestions on who to follow and hot topics or issues. Basically, it combined the previous trending topic section and recommendations on who to follow. The three new categories come in the form of tabs on the Twitter website while the mobile apps also had such changes in their UIs. 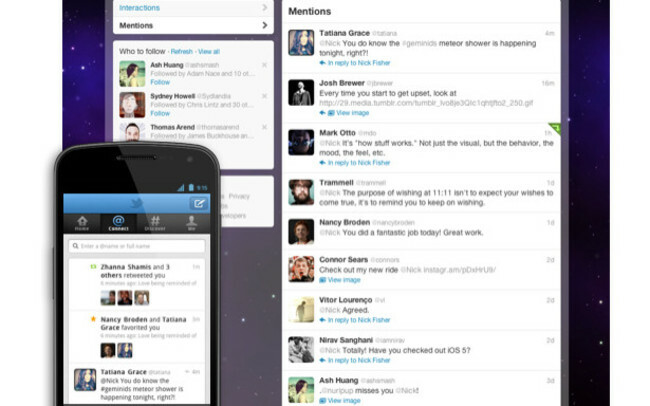 How about you, what do you think about the changes Twitter made to their website?